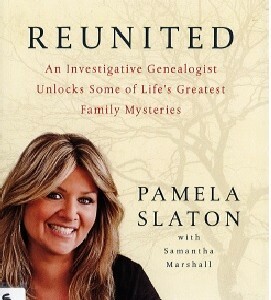 After a traumatic reunion with her own birth mother, Pamela Slaton realized two things: She wanted to help other adoptees have happier reunions with their birth families and she had a unique skill to do so – a strong ability to find what other could not. 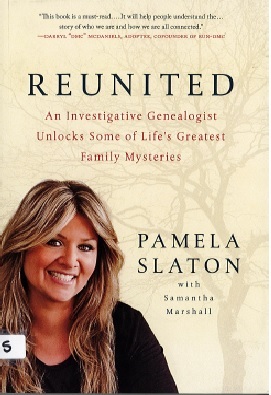 Reunited shared the riveting stories of some of Pam’s most powerful cases from her long career as an investigative genealogist, and the lessons she’s learned along the way. From the identical twins separated at birth, unknowingly part of a secret study on development, to the man who finally met his birth mother in the nick of time, Reunited is a collection on these unforgettable moments, told by the woman who orchestrated and witnessed them firsthand. Both heartbreaking and inspiring, it will move anyone who knows the true life-affirming power of family.